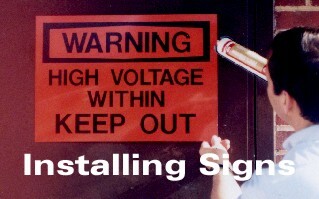 Aluminum signs can be installed on flat surfaces with silicone glue. They can also be pop rivited with aluminum rivits or attached with screws or nails. They can be installed on a cyclone fence with rust resistant wire through drilled holes. Anytime sign will drill holes if requested.